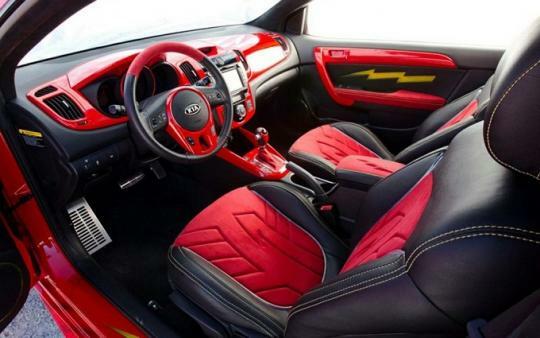 DC Entertainment (parent company of DC Comics) has teamed up with Kia Motors America and Rides magazine to create Kia cars based on Justice League characters. 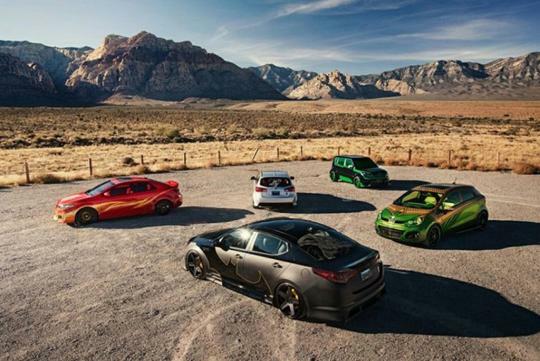 And they have brought five examples to this year�s SEMA. The cars are made not just to be showcased at the above mentioned auto show. 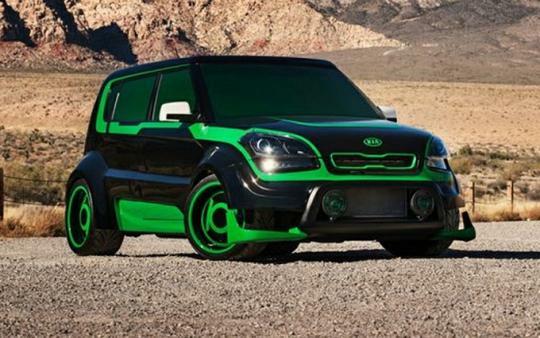 The one of a kind Kia cars were built to raise awareness for a charity that DC Entertainment is campaigning. The charity is known as �We Can Be Heroes� and the charity aims to fight the hunger crisis in the Horn of Africa. Much of the designs were inspired by the artwork of legendary comic book artist, Jim Lee. 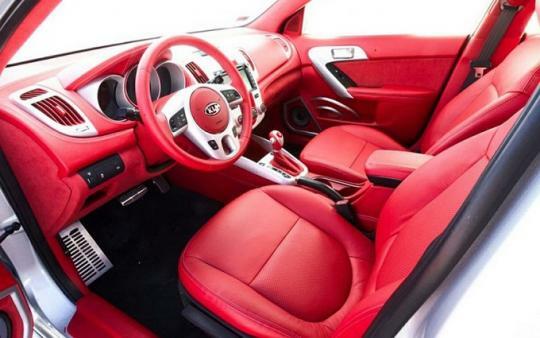 Jim Lee, who is a self-proclaimed car nut, worked on the Batman themed Kia Optima together with the guys from Rides magazine. 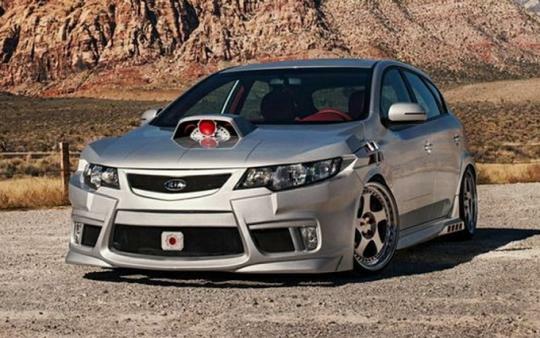 Rides magazine were also responsible for the creation of the Cyborg themed five-door Kia Forte. 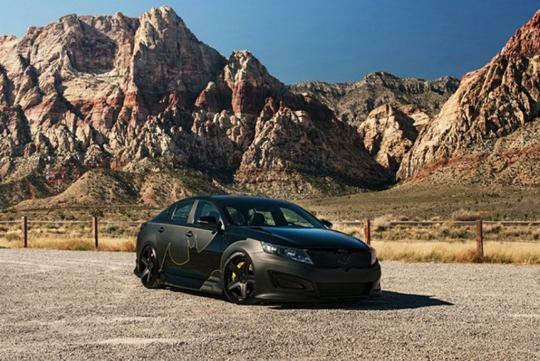 A matte and gloss black colour scheme was chosen for the Batman themed Kia Optima. The car is lowered with a coilover suspension and Ksport performance brakes were added for better braking power. Custom designed performance exhaust system and 20 inch wheels were also included as well. Yellow LED lights are situated throughout the whole vehicle. 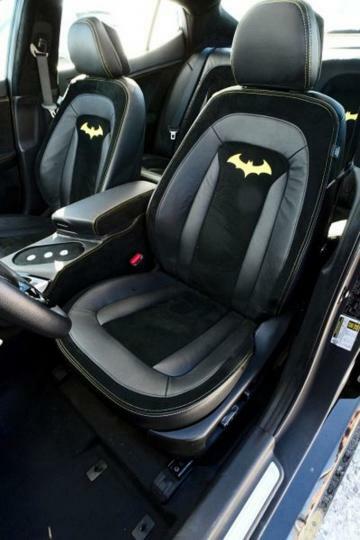 The custom made front grille which resembles a Batwing took over forty hours to make and the iconic Batman signal is etched onto the headlights housing. 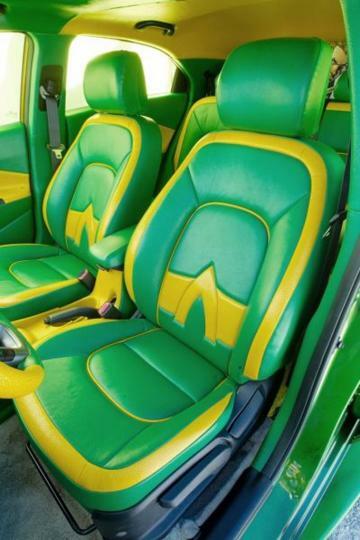 The car�s interior are wrapped in black leather and suede and stitched in yellow to give a contrasting look. 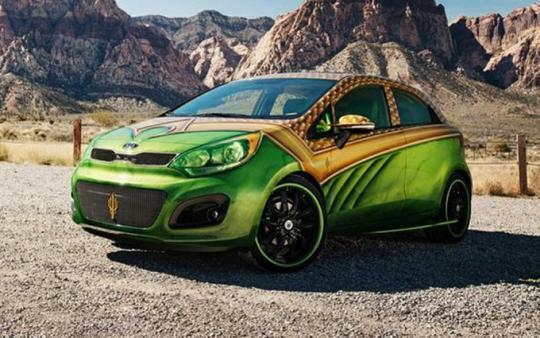 The Flash themed Kia Forte Koup and the Aquaman themed five-door Kia Rio are the result of the collaboration between Kia Motors America and world famous tuners, West Coast Customs. 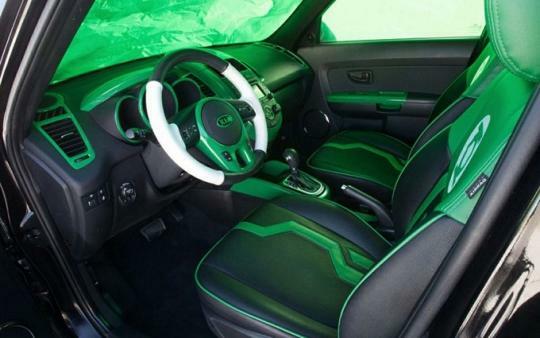 The guys from Super Street magazine were responsible for building the Green Lantern themed Kia Soul. 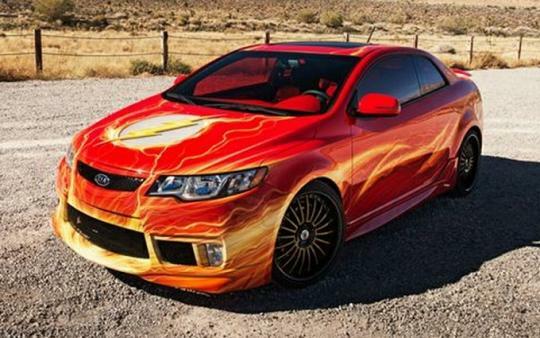 After the car�s showcase at SEMA, an auction will take place and all proceeds will go to the �We Can Be Heroes� charity.